What was rumor has now become fact: AMC will bring back Breaking Bad for 16 episodes, enough to finish out the story of Walter White, teacher-turned-drug kingpin. "It’s a funny irony -- I’d hate to know the date of my own last day on earth, but I’m delighted to know what Walter White’s will be (episodically speaking). This is a great gift to me and to my wonderful writers. It’s knowledge which will allow us to properly build our story to a satisfying conclusion. Now, if we don’t manage to pull that off, we’ve got no one to blame but ourselves,” said Vince Gilligan in a statement. 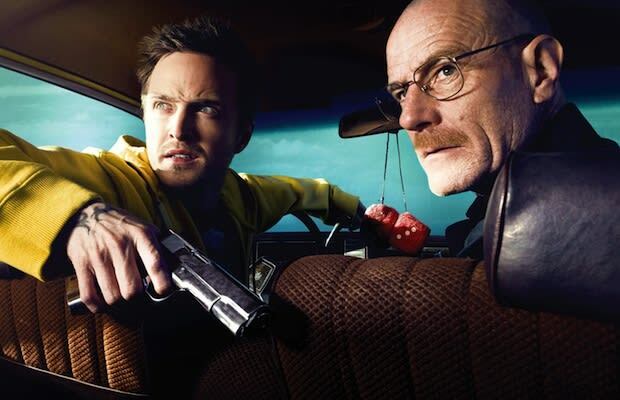 Breaking Bad is just the latest high profile drama to set an end-date and write toward it (Lost and Mad Men did this as well), meaning stories can begin wrapping up. AMC only said that the final episodes would start shooting in 2012, so it&apos;s unclear when they would air. Into 2013 seems likely, though; after all, splitting the 16 episodes between two seasons means more DVD revenue!